Hooray Hooray Spring is “Wicked” Fun! 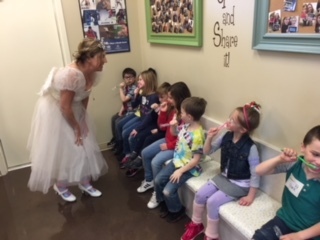 We learned important information about keeping our teeth and gums healthy by brushing, flossing, eating less sweets, eating well-balanced meals and visiting the dentist at least one time every year. We saw 3-D cone beam images of a person’s head and jaws. We made our own impression (an imprint) with alginate (made from seaweed). We got to pick any flavor we wanted! We poured plaster into our impression which hardened into the model we got to keep. We saw what braces and retainers look like and how retainers are made on a model of someone’s teeth. We saw a life-sized model of a child’s head and learned how teeth form in the jaw bones. We saw the “magic” wires that orthodontists use to help straighten teeth. 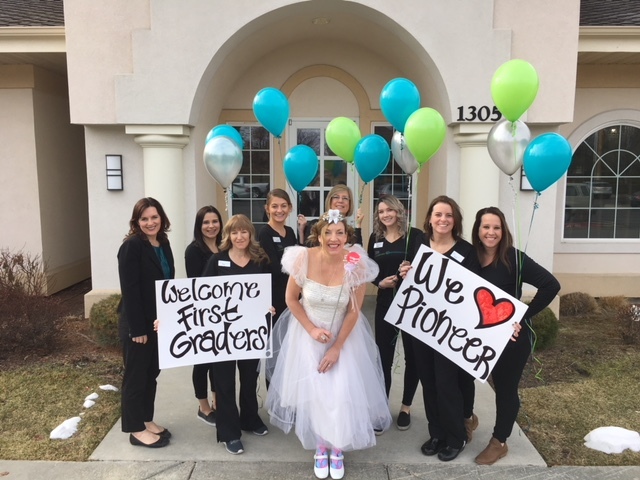 Thank you so much to Pioneer first grade teachers who shared their classes with us; we can’t wait to see you next year!